Center for Systems Biology and Molecular Medicine (CSBMM) is a premier academic research center for genomics, proteomics, metabolomics and computational biology investigations at Yenepoya (Deemed to be University), Mangalore. 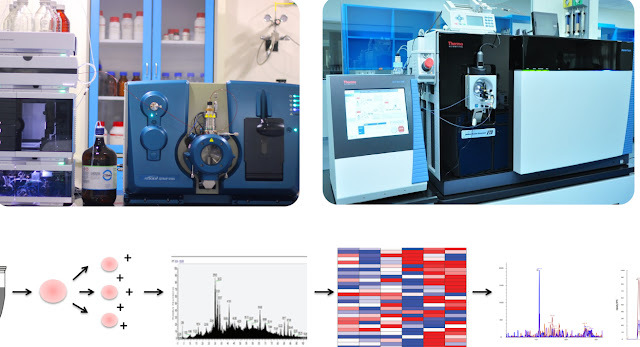 Metabolomics is an emerging omics platform that focuses on characterization of the small molecules called metabolites that serve as the direct signature of the phenotype. Scientists at CSBMM are carrying out cutting edge research on metabolomics employing high-resolution mass spectrometry-based approaches to understand the biochemical activity of biological systems in a global fashion. The knowledge from the metabolome has tremendous translational applications in the areas of discovery of biomarkers, newer drugs and drug targets, agriculture, plant biology, and traditional medicine. CSBMM has a state-of-art mass spectrometry facility consisting of Orbitrap Fusion Tribrid and QTRAP 6500 mass spectrometers. The scientists at CSBMM will share their expertise in mass spectrometry-based metabolomics including sample preparation approaches to metabolite data analysis through a hands-on workshop. The organizing team of the workshop has conducted more than 30 national conferences on mass spectrometry-based proteomics and metabolomics, NGS-based genomics and transcriptomics. These workshops included participation of faculties and students from reputed research institutions and universities. As a part of this 3-day long intensive hands-on training, we will introduce, demonstrate and provide theoretical underpinnings of high-resolution mass spectrometry-based metabolomic technologies and their application to clinical and biological research. Each participant will obtain hands-on training on sample preparation and mass spectrometry-derived metabolomic data analysis.